Reviews of the Carl Zeiss Sonnar T* FE 55mm F1.8 ZA from around the web. The Sony FE 55mm ƒ/1.8 ZA Zeiss Sonnar T* lens is a new fast prime lens released alongside Sony's Alpha A7R and A7 full-frame mirrorless cameras. The E-mount lens, which Sony has placed into a sub-category called "FE-mount" -- denoting their full-frame E-mount lenses -- is one of a set of new FE lenses; the others being the Sony FE 35mm ƒ/2.8 ZA Carl Zeiss Sonnar T* and the Sony 28-70mm ƒ/3.5-5.6G OSS lenses. 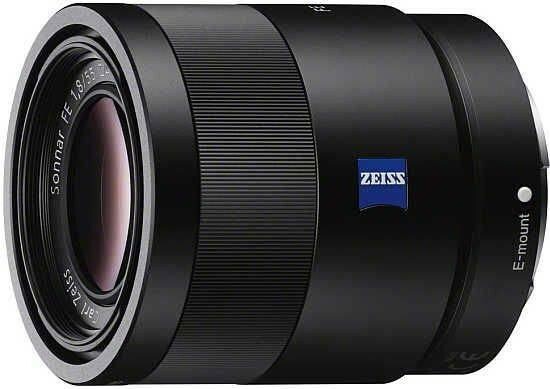 Sony also plans to launch a couple more FE lens, the FE 24-70mm ƒ/4 ZA OSS Zeiss Vario-Tessar T* and an FE 70-200mm ƒ/4 ZA OSS, in January 2014.